The 2019 Calypo Monarch Ronaldo London in action at Monarchs on Ariapita Avenue, Woodbrook. 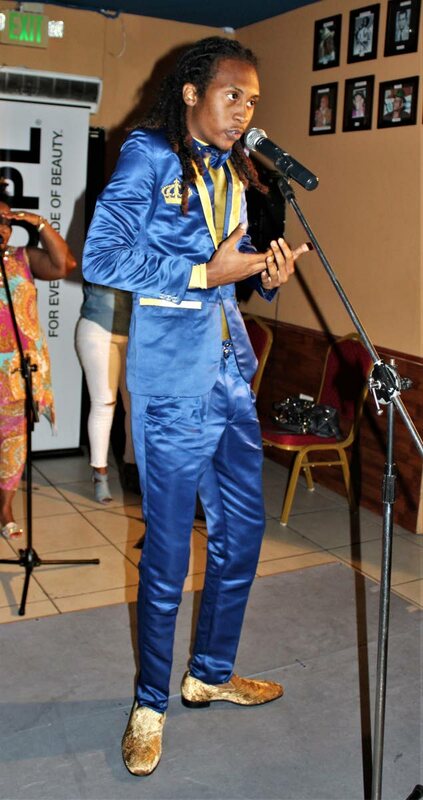 THE 2019 Calypso Monarch Ronaldo London appeared at Monarchs on the Avenue on Wednesday to a rousing welcome by all who were in the establishment on Ariapita Avenue, Woodbrook. 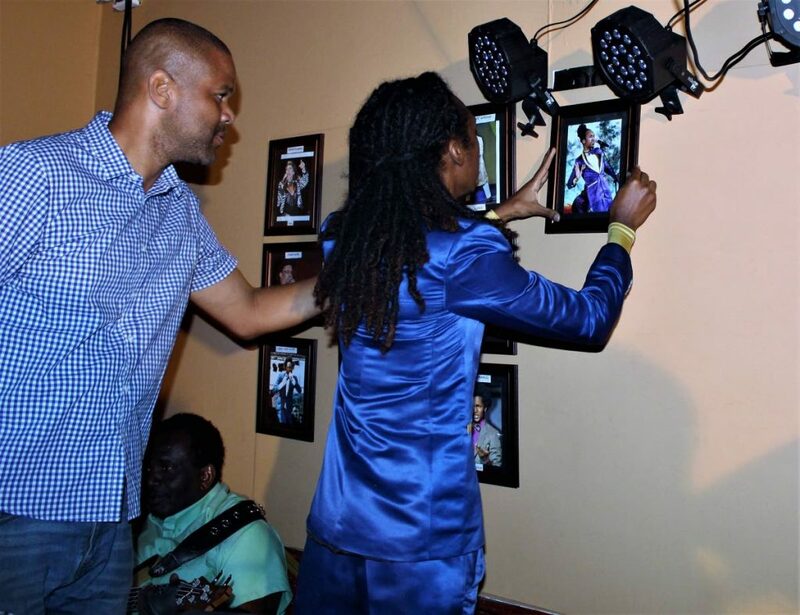 The youngest Calypso Monarch in the history of the competition was presented with a framed picture of himself, a picture taken by Newsday’s own Sureash Cholai on the night London went on to win the Young King competition at the Queen's Park Savannah in Port of Spain. London then had the pleasure of being the first and only monarch to mount his picture on a wall in the building as he is the last man to achieve the prestigious title since the opening of Monarchs. Monarchs owner Duane O’Connor directs Ronaldo London how to mount the picture on the wall. Monarchs, owned by Duane O’Connor is home to framed photos of every calypso monarch since 1939. When London was finished mounting the picture he performed his winning number Man’s Imagination to very loud applause by the audience. Karene Asche before she took the stage. The audience was made up of mostly foreigners, they came from Guyana, New York, Huston, Texas and a contingent from Arizona State University. Also in the audience was PNM deputy political leader Joan Yuille-Williams. Reply to "A Monarch on wall of fame"